Ghana has become the first country in West Africa to introduce vaccines against pneumococcal and rotavirus illnesses. Pneumococcal infections generally cause pneumonia, ear infections and meningitis, with the rotavirus illnesses can cause diarrhoea in children—both infections are two of the biggest childhood killers, especially in sub-Saharan Africa. Together, both diseases are responsible for the death of over 2.7 million children under the age of five every year. 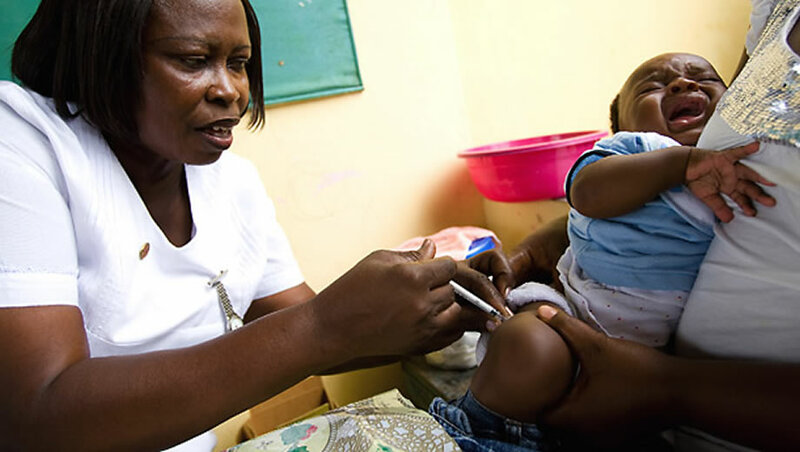 $2.43 million (£1.5 million) was contributed by JP Morgan and the contribution was matched by Global Alliance for Vaccines and Immunisation (GAVI) , an institution that seeks to bring donor governments, the United Nations’ World Health Organisation (WHO), World Bank, the Bill & Melinda Gates Foundation and other private donors. GAVI was able to get the manufacturers of the vaccines—GSK, Pfizer and Merck—to discount 90% of the price of the drugs to make it affordable for the Ghanaian government, who are also contributing to the cost about 20 US cents per dose.